Be that as it may, and in most things I am always inclined to believe what Edgar Cayce has to say, in my opinion Atlantis was situated roughly speaking where Cayce proposes. When Atlantis was destroyed it sank to the very bottom of the ocean. While the ruined temples now play host to multitudinous underwater creatures, the great Atlantean fire-crystals that once provided so much of the tremendous power and energy that was found in Atlantis long ago still exist. And they are still emitting strong energy beams into the universe. Unfortunately, however, when the destruction occurred some of these fire-crystals were partially damaged, which has resulted in them only being able to project their energy rays at random. It is said that each fire-crystal would have been at least twenty feet high and some eight feet wide. In Atlantis these fire- crystals would have been erected in a series of three, thus creating a vortex of astronomical energy and a power of the first magnitude! he ramblings that all these crew members have related are hallucinations, thoughts of fear and of unknown indescribable horrors with which their minds cannot possibly cope. In addition to the damaged Atlantean Fire-Crystals, the Timekeeper Crystal still stands guard within the ruined Atlantean Temple of Healing. The great Timekeeper Crystal, however, does not project its energies in the same way as the fire-crystals because it is hermetically sealed. The Timekeeper Crystal is waiting patiently for the time which is yet to come when once again it will play its important role in the affairs of the world! In 1970, Dr.Ray Brown, a naturopathic practitioner from Mesa, Arizona, went scuba diving with some friends near the Bari Islands in the Bahamas, close to a popular area known as the Tongue of the Ocean. During one of his dives, Brown became separated from his friends and while searching for them he was startled when he came across a strange pyramid shape silhouetted against the aquamarine light. Upon investigating further, Brown was surprised by how smooth and mirror-like was the stone surface of the whole structure, with the joints between the individual blocks almost indiscernible. Swimming around the capstone, which Brown thought might have been lapis lazuli, he discovered an entrance and decided to explore inside. Passing along a narrow hallway, Brown finally came to a small rectangular room with a pyramid-shaped ceiling. He was totally amazed that this room contained no algae or coral growing on the inner walls. They were completely spotless! In addition, though Brown had brought no torch with him, he could nevertheless see everything in the room with his normal eyesight. The room was well lit, but no direct light source was visible. Brown’s attention was drawn to a brassy metallic rod three inches in diameter hanging down from the apex of the center of the room and at its end was attached a many-facetted red gem, which tapered to a point. Directly below this rod and gem, sitting in the middle of the room, was a stand of carved stone topped by a stone plate with scrolled ends. On the plate there was a pair of carved metal bronze-colored hands, life-sized, which appeared blackened and burnt, as if having been subjected to tremendous heat. Nestled in the hands, and situated four feet directly below the ceiling rod gem point, was a crystal sphere four inches in diameter. Brown tried to loosen the ceiling rod and red gemstone but neither would move. Returning to the crystal sphere, he found,to his amazement, that it separated easily from the bronze hand holders. With the crystal sphere in his right hand he then made his way out of the pyramid. As he departed, Brown felt an unseen presence and heard a voice telling him never to return! Fearing, rightly, that his unusual prize might be confiscated as salvage-treasure by the American Government, Dr. Brown did not reveal the existence of his strange crystal sphere, nor did he relate his experiences until 1975, when he exhibited his crystal for the first time at a psychic seminar in Phoenix. Since that time, the crystal sphere has made only a very few public appearances but on each occasion people who have seen it have experienced strange phenomena directly associated with it. Deep inside the crystal form, one gazes upon three pyramidical images, one in front of the other, in decreasing sizes. Some people who enter a deep meditative state of consciousness are able to discern a fourth pyramid, in the foreground of the other three. Elizabeth Bacon, a New York psychic, claimed while in trance, that the crystal sphere had once belonged to Thoth, the Egyptian God who was responsible for burying a secret vault of knowledge in Giza, near the three great Pyramids. Perhaps the positions of the three pyramidical images in the crystal sphere hold the long-sought key to finding a fourth, as yet unfound, subterranean pyramid that will lead us to the Hall of Records? Who knows? Looking at the crystal sphere from the side, the internal images dissolve into thousands of tiny fracture lines. Brown feels that these may prove to be electrical in nature, like some form of microscopic circuitry. From yet another angle, and under special conditions, many people have been able to see a large single human eye staring out serenely at them. Photographs of this eye have also been taken! Dr. Brown’s crystal sphere has been the source of a wide variety of paranormal and mysterious occurrences. People have felt breezes or winds blowing close to it. Both cold and warm layers surround it at various distances. Other witnesses have observed phantom lights, heard voices or felt strange tingling sensations surrounding it. A compass needle, when placed next to the crystal sphere, will spin counter-clockwise, then commence turning in the opposite direction when moved only inches away. Metals become temporarily magnetized when they come into close contact with the sphere. There are even recorded instances where healing has taken place by merely touching the sphere. We may only speculate as to why the crystal sphere was created and what part it once played within the underwater Bahamas pyramid discovered by Ray Brown! If, as we suspect, this area of water once formed part of the continent of Atlantis, then what other buried treasures await future divers? The possibilities are endless. Seismographic surveys carried out across the Atlantic Ocean have shown that there are many deviations and unexplained contours to be found right at the bottom of the ocean. To date, however, no serious exploration has ever been undertaken to find out exactly what is to be found on the ocean’s floor. 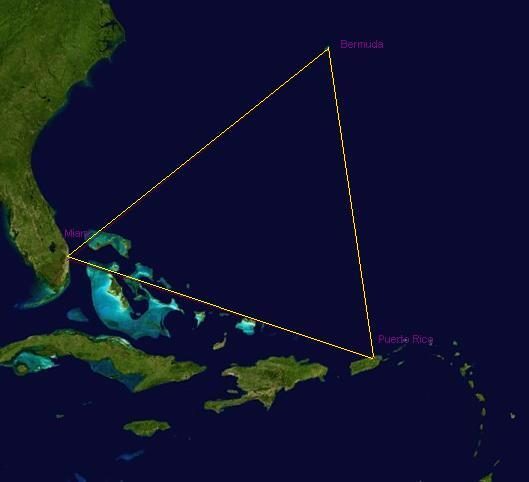 Perhaps Brown’s Bahamas pyramid once formed part of Atlantis? It has been suggested that this sunken pyramid once attracted, accumulated and even generated some form of cosmic force. The suspended rod may have conducted forces accumulated in the capstone. The faceted red gem at its end may have been used to concentrate and project the energies to the crystal sphere below it. The burnt and blackened hands, showing the evidence of an energy transfer, probably amplified the release of these energies while the crystal sphere acted as the tuner and broadcaster of the energies. One particularly interesting piece of information in the above reading is the reference to Bimini. In 1969, steps were discovered leading down under the ocean at Bimini. These have always been believed to have once formed part of Atlantis although it appears that little further excavations or explorations have ever taken place on this site. But – and really it is not too big a but – it does seem that the balance of probability is firmly tilted towards the supposition that Atlantis was more than a legend; that, in reality, it was a historical fact. In the meantime, however, the damaged Atlantean fire-crystals will continue, from time to time, to have an effect upon some of the planes and ships which pass through the area known as the Bermuda Triangle. If you have any information, past-life memories, etc., that you would like to share with me, I shall always be very pleased to hear from you.